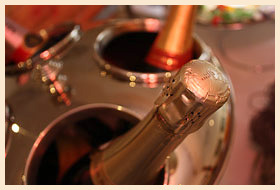 La Capannina Restaurant is tucked away in the heart of St Helier providing the perfect location for special moments. Moments such as meeting up with clients, old friends, a birthday, engagement, wedding, anniversary, a reunion, a departing, a first date, a promotion, a retirement. 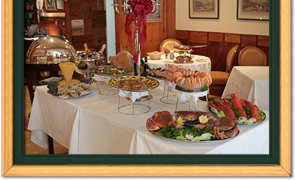 Whether the first time or returning visit, dining at La Capannina Restaurant is always a special occasion. From a private table for two to a group in the Conservatory. Often parents take their teenage children for dinner just prior to them leaving the island for school or university in the UK. In many cases those parents were taken to La Capannina by their own parents for the same occasion in their own teenage lives. And so Tino's clientele carries on through the generations. La Capannina is the natural choice for that special occasion with quality ingredients prepared in orthodox styles and traditional recipes which follow the seasons such as saddle of lamb, game and suckling pig prepared and served by well trained staff. The wines served from Tino's cellar are also traditional, offering a choice of Italian, French, Spanish and Portuguese. But one thing that is not traditional is the truly professional state of the art kitchen, which is fully air-conditioned, fire approved with gas suppression.